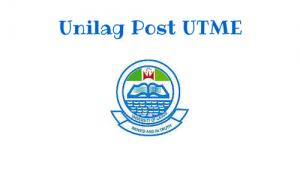 The University of Lagos post UTME – All a candidate needs to know. One university in Nigeria that needs no introduction is the University of Lagos. The school is a prestigious federal university located in Lagos Nigeria. Thousands of Jambites apply for admission into UNILAG every year but sadly only a few eventually get to be admitted, this is due to poor preparation and also poor performance from some candidates another reason is also that UNILAG simply can’t admit the vast number of applicants that throng the school on a yearly basis in search of admission. This articles tells you about the courses offered in UNILAG, the O’level requirements and the UME subject combination. This article is a only a piece of information on what every UNILAG aspirant should know before he/she goes ahead to apply for admission into the institution, the bulk of the work lies on the aspirant to put in his/her best and beat the cut-off mark stipulated by the school in both jamb and post-utme. Industrial Relations & Personnel Management English language, literature in English, and any other 3 social science subject Literature in English, government and any other social science subject. Insurance English, maths, literature in English, and any other 2 social science subject Literature in English, government and any other social science subject. Languages and Linguistics English, maths, Literature in English, government and any other social science or arts subject. Government, literature in English and any other social science subject. Psychology Maths, English, Biology and any other Two social, science or art subjects. Biology, government and any other social science subject. Every year between August and September, the University of Lagos Invites qualified candidates who scored above 200 in Jamb and who chose the school as their first choice to her post-utme screening exercise. Candidate must be above 16years of age or 16 years old one month before the examination date. A non-refundable fee is to be paid by each candidate as post-utme registration. Registration fee ranges between N2000-N4000. Our carefully compiled University of Lagos Post UTME Past Questions and Answers has proven to be totally invaluable to serious minded aspirants. Click here to purchase the original Unilag Aptitude Test Past Questions. note: Aspirants are to visit the school website www.unilag.edu.ng click on prospective students then select the full time undergraduate admission tab and then select the Post-UTME application tab to register for their post-UTME exam. Best of luck.